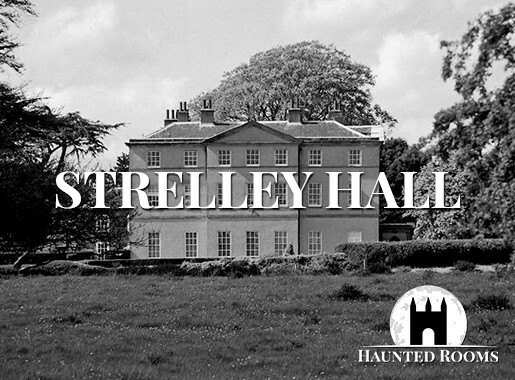 Categories: Haunted Castles in England, Haunted Places in Staffordshire, Haunted Places in West Midlands, Most Haunted Places in UK & Ireland - Find Haunted Houses Near You! 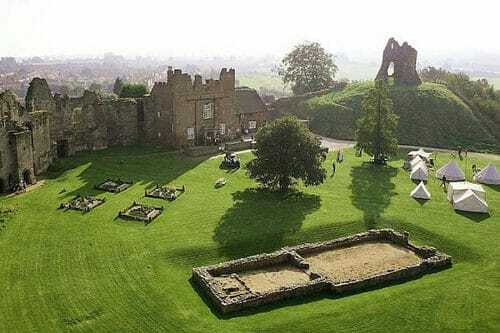 History shows Tutbury Castle has stood since 1071 at least, which is round about the time the Normans began building many castles across the country, to establish their authority over the people. 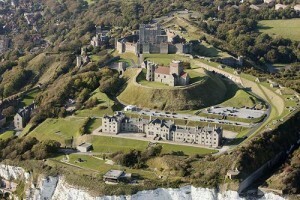 Since its construction it had played a significant part in the history of England, both in peace, and war! Perhaps the most famous of all the historical facts relating to Tutbury, is the imprisonment of Mary Queen of Scots. 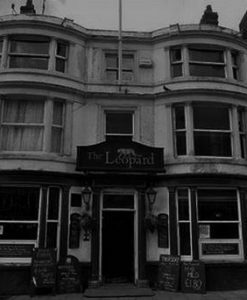 She was held captive here on four separate occasions, and it was here were the plot that inevitably led to her death was conceived. The de Ferrers family lived here for a time when the castle was used as wapentake. 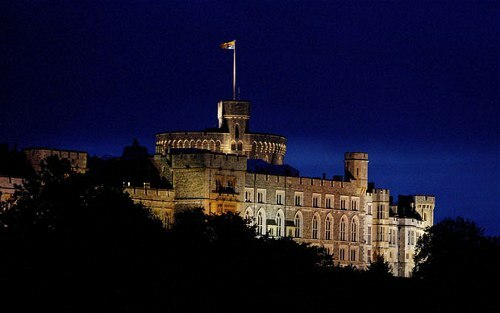 The castle was later the seat of the earls and dukes of Lancaster. 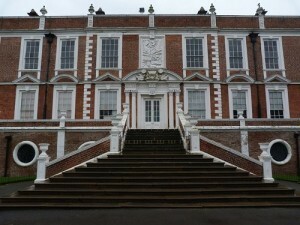 During this time Tutbury was one of the great centres of power. It was a popular destination for royalty including many English Kings. 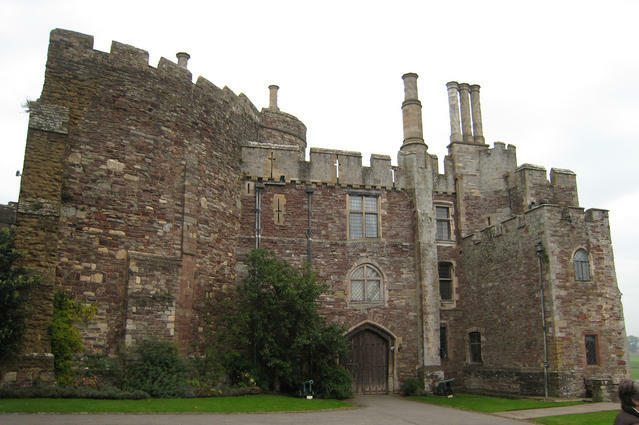 It was also the home of the great John of Gaunt, 2nd Duke of Lancaster, whose descendants included many Kings, such as Henry IV his son, Henry V, his grandson, and his great grandson, Henry VI. During his life John, was not only one of the richest men of his era, but also one of the wealthiest men to have ever lived. Taking into consideration inflation, he would be worth £69 billion in today’s economy. 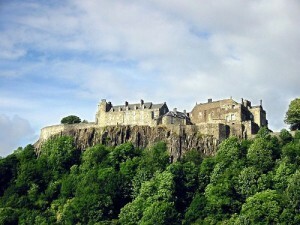 It has suffered several sieges in the past, which resulted in the castle being destroyed and rebuilt many times. 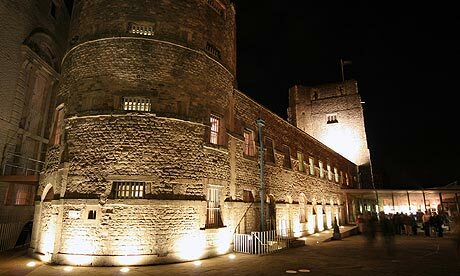 It was to suffer one last blow in 1647, when Parliament ordered the castle to be destroyed, after holding out for Charles I during the Civil War. 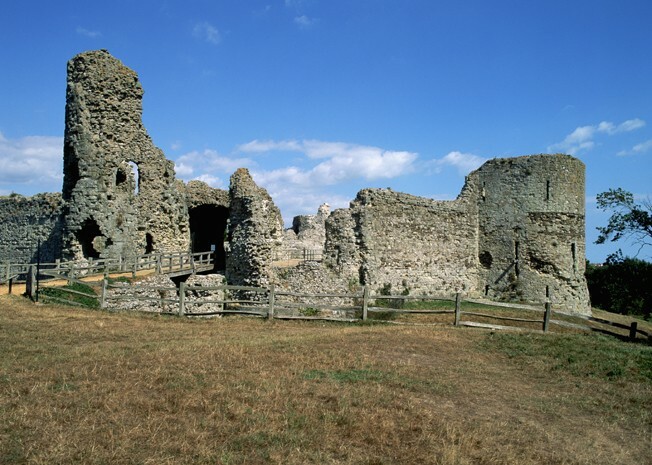 However, the castle wasn’t completely destroyed and the remains are what you can see today. As with many castles, hauntings go hand in hand. 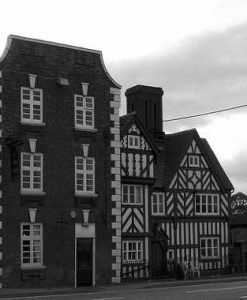 Tutbury is certainly no different in that aspect, it’s believed to be haunted by Mary Queen of Scots, an apparition in a full suit of armour, a white lady, a little boy, and small girl. 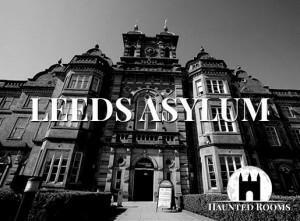 The ghostly figure of a man in a full suit of armour has been seen on many occasions. He has been seen outside of John of Gaunt’s Gateway and on one occasion was heard shouting “Get thee hence!”. He was last seen around 4 years ago during the day by one of the visitors, who reported hearing him say “get over the fence!”. Although re-enactments are commonplace at Tutbury, it was pointed out to the visitor that none were scheduled for that day, so nobody would have been dressed like that. Could this have been the mysterious man in armour? The most famous of all the ghosts most certainly is Mary. 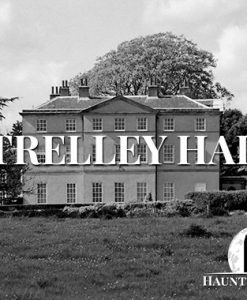 She despised Tutbury as it was often the prison she suffered worst of all. In 2004 she was seen by 40 men, standing at the top of the South Tower peering down at them. She was dressed in a full white Elizabethan gown. When they saw her the men laughed as they though a member of staff had put on the dress as joke. However, it was pointed out that nobody on staff has a white gown, so it would have been impossible for the figure they had seen to be a member of staff. The men were profoundly disturbed by this experience, and what makes this a very important report is the fact there were so many that saw her. In 1984, a serving marine witnessed her, walking at an unusually fast pace across the grass. There have been a number sightings of Mary recently, particularly during a 10.15 p.m. – 11.00 p.m. window. 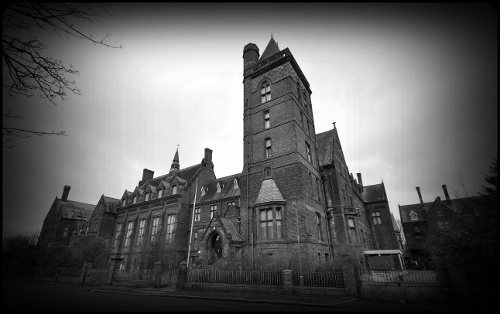 There’s also been a figure dressed in black, seen looking through the window of the Great Hall, often by people leaving the castle in their cars. 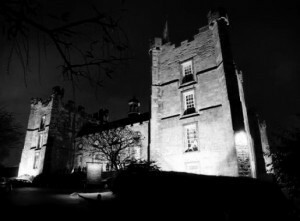 One summer she was seen by several senior members of staff, who are quick to brush of anything paranormal about the castle. Not only that, that very summer, archaeologists who were taking part in an extensive 5 year dig at the castle witnessed her as well. A white human shaped mist is often seen around the North Tower, on the grassy bank. Pictures of her are taken regularly. It’s believed Ellie is a child of 7 years, however, has the appearance of a 5 year old. She has often been felt and experienced in the King’s Bedroom. People have reported her pulling fingers, holding hands, removing rings, and causing an electric pulse in the arm. 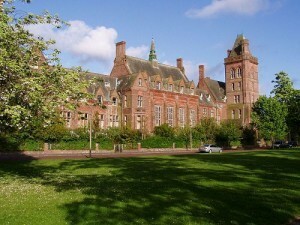 A little boy wearing a white shirt has been seen sitting on the stairs of the Great Hall. His lifelike appearance has led visitors to believe he’s actually a real boy. Film & TV crews often report batteries suddenly draining in their cameras and equipment. Blue lights have been witnessed sparking and moving around some of the rooms. People have often seen lights circling around people, particularly, Leslie Smith (the Curator), when she is playing Mary Queen of Scots in the Great Hall. Orbs have also been pictured by thousands.